Red is the colour used to signify the Goddess. All this Hoo-Ha is advertising the fact that the politician son of a famous swamy will visit our local Devi Temple today. 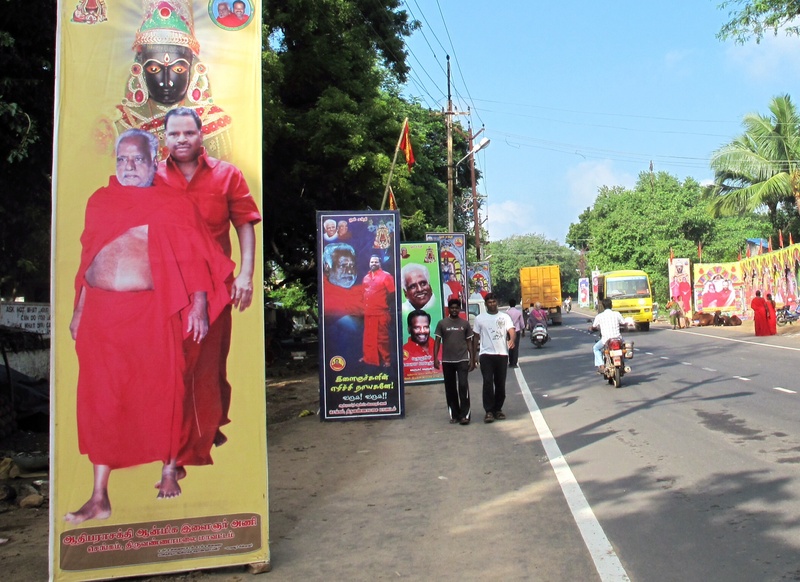 Devotees all in red traipse conspicuously along highways to reach the Mother Temple of the Shakti scene on the road to Chennai, but today they mostly come to our place all standing up on the back of trucks or seated jammed-in red buses. Very popular. You see here we don’t need to pretend that politics and religion don’t cohabit in one big happy Family. ‘Welcome to Kali Yuga’… he he…indeed 🙂 and it lasts 432000 years, 5000 of which is passed already when Krsna disappeared from India. The question is, will it really last at the rate things are going. Looks like nobody gets this Red post. Should have taken more photos. This is Culture! 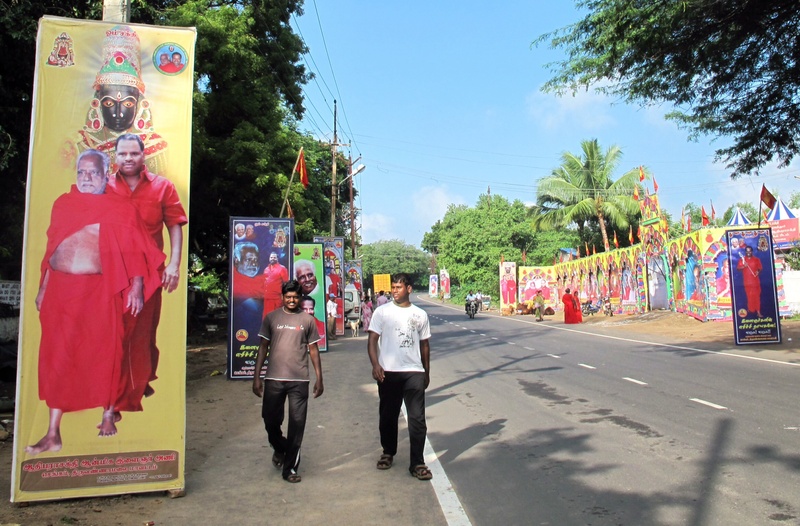 A flamboyant concoction of religion and politics, quite acceptable here in Mother India. Mother always has plenty of milk.